Our office helps innocent people that have been injured due to negligent truck drivers. Boston truck accident lawyer Christopher Earley can help you if you’ve been injured in one of these accidents. A shocking 3,852 people were killed in truck-related accidents in 2015. Based on the size of trucks, and the fact that truck accidents commonly occur on highways, personal injury and property damage can be quite serious with these accidents. Plus, trucks take much longer to brake than do passenger vehicles. Trucks typically weigh 20-30 times more than passenger vehicles. Truck safety laws and regulations are governed by state and federal law. Truck accidents usually result when these laws and regulations are violated. For example, drivers of large trucks are only allowed to work 11 hours at a time, but this requirement is commonly violated. Our office aggressively pursues truck drivers and trucking accident companies that do not follow the law. We also help to make sure you are provided Personal Injury Protection (PIP) benefits to pay for your medical bills and lost wages, and we help you complete all necessary insurance paperwork. Our ultimate goal is to obtain for you a fair and reasonable settlement for your truck crash case. For people that are on-the-clock at the time of their truck accident, workers compensation benefits can be pursued and cover only employees, and not independent contractors. These benefits entitle you to payment of your medical bills, and lost time from work. Even if you were at fault for causing the truck accident, you can still collect workers compensation benefits. If the insurance company denies you some, or all of your workers compensation rights, a claim is filed at the Department of Industrial Accidents. Keep in mind Massachusetts law does not allow you to sue your employer for a workers compensation accident. Depending on the case, there there may be not just a workers compensation claim, but also a third-party negligence claim against the person responsible for causing the accident. This is a separate claim, apart from the workers comp claim, that can be pursued as well. Unlike workers compensation cases, you can seek pain and suffering, and also sue the responsible party for your injuries. For example, if you were operating your truck while on-the-clock for your employer, and another motor vehicle operator negligently causes the truck accident, you have both a workers compensation claim, as well as a third-party liability claim. If you received workers compensation benefits, and your third-party case settles, the workers compensation insurance company has the right to be paid back a portion of the benefits they paid you. This is called a lien and is triggered automatically as a matter of law. In order to resolve this lien, a Section 15 petition is what needs to be completed, and this must be approved by a judge at the Department of Industrial Accidents, or by a Superior Court judge. How Can a Boston Truck Accident Lawyer Help Me? Truck accidents can be very complicated. The injuries tend to be serious, and multiple parties are typically involved. As a Boston motor vehicle accident lawyer, our office looks into all possible parties that may have contributed to the accident. 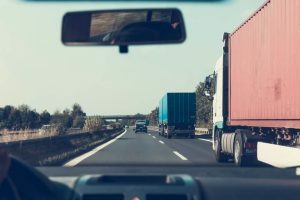 The truck driver, trucking company, truck manufacturer, truck equipment manufacturer, and other parties can potentially all be involved in a claim. We also uncover and pursue all available insurance companies and policies. The investigation into these accidents is usually very intensive and lengthy. Frequently, investigators and accident reconstructionists are brought into the case to decipher exactly what happened in the accident and who is responsible. The truck itself, its equipment, trucking company records, and accident scene are typically thoroughly investigated in these matters. As our law firm, our focus is to obtain for you full and fair compensation for all injuries and losses you suffer in your trucking accident. If an out-of-court settlement cannot be reached with the insurance company, then a lawsuit will be filed. A lawsuit is an opportunity for more in-depth investigations into the cause of the accident. For serious trucking accidents with devastating injuries, lawsuits are very common. Of those fatalities, 17% were truck occupants, 66% were occupants of cars, and 16% were pedestrians, bicyclists or motorcyclists. The number of people killed in truck crashes was 27 percent higher in 2016 than in 2009. What Is The Settlement Process for Trucking Accident Cases? The vast majority of truck accident crash cases settle. Even those cases in which a lawsuit has been filed will more than likely before the case gets to the jury. Once your accident-related medical treatment has concluded, we assemble all of your medical records, medical bills, and proof of lost wages. We then send a demand package to the insurance company. After about a month, an offer will likely be forthcoming. After negotiation, the parties will able to resolve the case, or, a lawsuit will need to be filed. If the case does settle, a release will need to be signed which, in exchange for the settlement funds, the truck accident victim closes out the case against the responsible party. Keep in mind any settlement is not subject to either state of federal taxes. What Is The Statute of Limitations For Truck Accidents In Massachusetts? Generally, these accidents have three-year statutes of limitations. This means that if the case does not settle, a lawsuit must be filed within three years of the date of the trucking crash in Massachusetts. If a lawsuit suit is not filed, then your claim will be time-barred. Delays never help these cases as evidence can be destroyed, or lost, and important witnesses can disappear. If you are thinking about filing a Massachusetts lawsuit for a trucking accident, don’t wait. Call us today for your free, no-obligation consultation. If you need a Boston truck accident lawyer, we can help you. Our office only gets paid if we win your case.